Just in time for Christmas… mini mince pies! These are a very traditional British treat that I’ve decided to try my hand at this year with my own recipe. 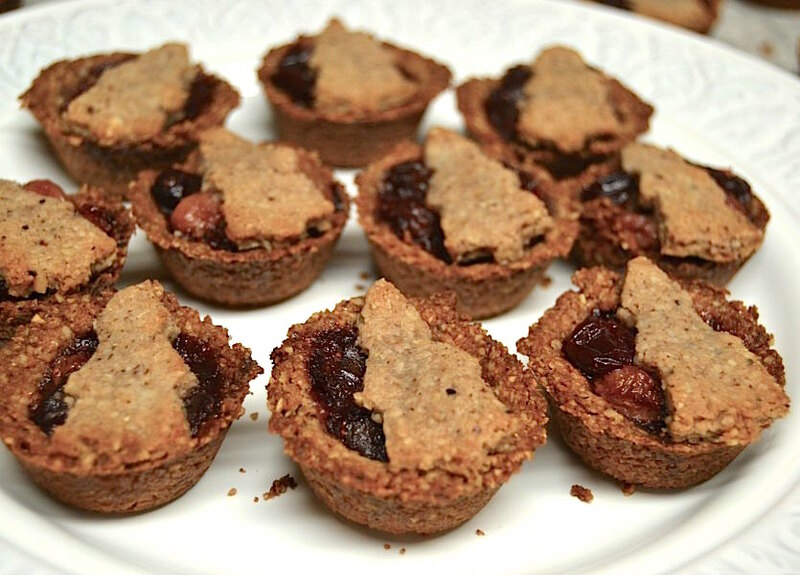 They’re a healthier alternative made with fresh figs and cranberries and ground nuts for the pastry base. These bite-size treats have been made gluten free, dairy free, and refined sugar free so feel free to indulge! Firstly, make the tea and set aside for a few minutes to steep. Make the mince pie filling: Add sultanas, cranberries (if using fresh, you can roast these at 200°C for 8 mins before adding) and figs to a medium bowl. Cover with the steeped tea for a minimum of 2 hours or overnight. 3. When ready to use, transfer the mince pie filling to an oven safe dish. Add the juice and zest of the orange, vanilla extract (or scraped seeds from vanilla pod), cinnamon stick, nutmeg, and coconut sugar, and stir to combine. Place in a preheated 180°C oven for 20 minutes. Grease a muffin tin with coconut oil and add one teaspoon of pastry per pie and press into your tin to fill the sides. Keep aside 1/3 of the dough if you want to roll out shapes to set on top. Blind bake the shells for 5 minutes before removing from oven. Fill each shell with a teaspoon of mince pie filling, place a shape on top, and then set back in the oven for another 5 minutes. Allow to cool for 30 minutes before removing from pan to enjoy. These make approximately 18 mini mince pies, but you could make them in a larger pan if you like. I also had some extra mince filling left over but this can be used on top of porridge, yogurt, or even your morning toast!